Few things are more frustrating than history repeating itself. But it does, so often, especially lately, that we barely notice anymore. 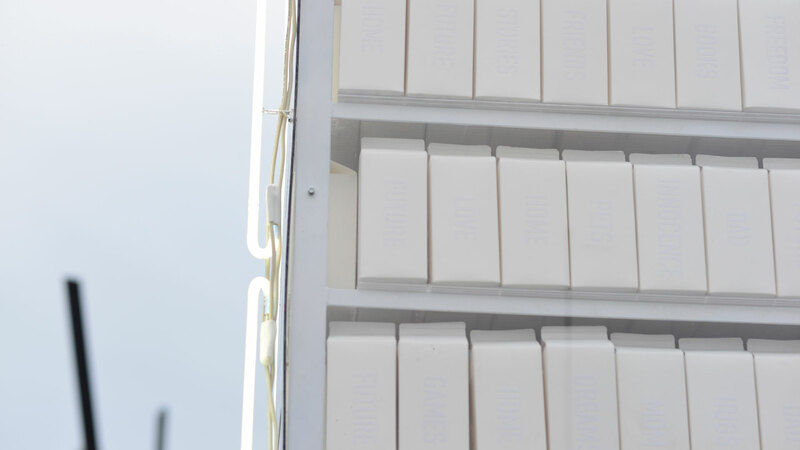 On Venice, California's Windward Plaza, 72andSunny's creative residency 72U mounted a two-story milk carton. If, for whatever reason, you can't remember life before the out-of-body blast of an Amber Alert, this is a tribute to a missing children's campaign that ran on milk cartons in the '80s and '90s. It's proper cult nostalgia. There's movies about it and everything. But 72U's massive carton isn't what we refer to when we talk of history repeating. We're talking about detention camps, actually. In 2017, the number of immigrant children detained by the current administration was 2,400. This year, it's 14,000 and rising. Think what you want about illegal immigration; taking a child whose circumstances are sufficiently desperate to risk the living hellfire of border crossing, then separating them from families and flinging them into something akin to a prison, isn't the kind of thing anyone can spin pretty. Not even if you squint. The milk carton—otherwise known as the "14,000 and Counting" Missing Childhoods art installation—exists for this reason. Know why it's so big? Because that's how big it had to be to accommodate all the little milk cartons representing each child. One thing that stuck out to us in the video above was this sentence: "If we allow them to teargas families and children, there's nothing we're going to stop them from doing." For this reason, the speaker says, civil disobedience is critical to ensuring our values are respected by the sitting government. As mentioned, the giant milk carton is composed of many small ones. Each represents an immigrant child in detention. The text on the cartons represents what they're missing while there. "We encourage everyone to spread awareness on the most preeminent civil rights issue of our time and demand change," writes 72U in a press release. "We can no longer ignore this topic and must insist that humane policies are created for children and their families." The piece was mounted in November and remained until last Sunday. Learn more about the cause at the website, and if you wish, sign this congressional petition for ensuring each child receives due process. There is one advantage to history repeating: We know the many ways this story can end.